The “welcome" euphoria which characterized the initial reactions to the flow of refugees has dissipated. It has been replaced by what increasingly might be called Pandora’s SuperBox as Germany, and Merkel, face a frightening unknown. The German open border policy for refugees has led to a significant rise of forces on the right of the political spectrum. This affects both German society at large, and the Jewish community. 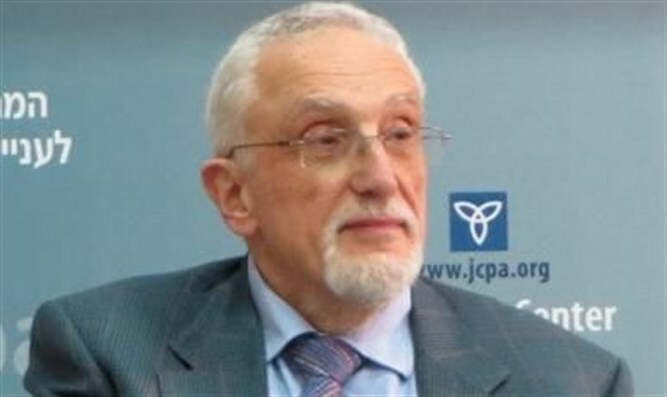 Salomon Korn, the deputy head of the Central Council of Jews said that “children in Arab countries are indoctrinated like children in Third Reich. We should not accept the illusion that we can integrate these people into society.” Korn added however that he fears the drift of the center to the right and the increasing right-wing violence even more. So far the most extreme violent attacks have taken place in Leipzig. Two hundred and fifty masked hooligans destroyed almost all the shop windows in a street in the predominantly left-wing Connewitz quarter. In the federal state of Saxony, unknown assailants attacked four asylum seeker shelters over a period of several days, according to the police’s Operative Defense Center. (OAZ). One of these attacks, which took place in Leipzig, concerned a group of an estimated seven perpetrators who had prepared a do-it-yourself explosive charge which failed to detonate. The Amadeo Antoni foundation, a body bearing the name of an Angolan worker murdered in 1990 by a group of Neo-Nazi skinheads, chronicles violence against refugees. It collaborates with another organization for this purpose, Pro-Asyl, Germany’s largest pro-immigrant advocacy organization. The Antoni foundation is also active against anti-Semitism. In 2016 alone, tens of cases of attacks on immigrants have already been recorded. In a number of these cases, refugees were injured. According to these organizations, asylum seeker centers were subjected to 528 assaults in 2015. 126 of these cases involved arson attempts, on average a bid to set a fire in a refugee center every three days. The organizations also recorded 141 attacks on refugees outside the centers. All in all, 205 people were injured. The Federal Criminal Police office published that 2015 had had the highest number of criminal acts against asylum seeker centers in this century, 924 in all, as opposed to 199 such acts reported for 2014. In the past the German establishment has tried to cover up crimes committed by refugees. The large-scale overt sexual attacks and thefts by refugees in nine German cities and in various other countries on New Year’s Eve have made this much harder to do. We have not been able to find statistics for crimes committed by immigrants. One recent case, where a woman and several pensioners were attacked by four immigrants on the Munich underground, received much attention after a passenger filmed the attack and uploaded it directly to YouTube. The attackers were reported to be Afghans who had been living in Germany for four years even though their asylum applications had been rejected. They could not be sent back to Afghanistan in view of the dangerous situation there. This is true for many migrants, who remain in the country for the same reason after their asylum requests are rejected. A Munich police spokesman admitted that this situation is highly problematic. The concern felt by many in German Jewish communities from the start of the refugee influx has since spread to German society at large, as evidenced, for instance, in the major increase in pepper spray sales following the New Year’s Eve attacks. Pegida (Patriotic Europeans against the Islamisation of the West, Patriotische Europäer gegen die Islamisierung des Abendlandes) is a far-right German movement, founded in Dresden in 2014. Pegida demonstrations draw thousands of participants. Its main aim is to fight Islamization. It also opposes German membership of the EU and NATO. Somewhat surprisingly it aims at better relations with Putin’s Russia. Following the massive influx of refugees, similar movements have emerged in other countries which have adopted the same name. At Pegida gatherings in Germany, demonstrators chant slogans vilifying Merkel and immigrants. Fights often break out in the margins, due to clashes involving anti-Pegida demonstrators. Seven policemen were injured in violence following a Pegida demonstration in Potsdam last month. Yet it seems that what worries the German political system most is the emergence of a right-wing party, the AfD (The Alternative for Germany (German: Alternative für Deutschland). AfD European parliament representatives belong to the same group as the British conservatives, which helps strengthen its own conservative image. The established political parties see the AfD as a major competitor. In March there will be elections in three federal states. According to several polls the AfD may get ten or more percent of the votes. There have been personal altercations in the AfD and one does not know how it will develop, as is always the case with a rather new party. There will most likely be further political power struggles inside the party itself, and it will be difficult to build a more homogeneous party structure with much-needed speed. With a right-wing party there is always the danger of neo-Nazis joining and a big question is whether the AfD can keep them out. The “welcome" euphoria which characterized the initial reactions of September 2015 to the flow of refugees has largely dissipated. It has now been replaced by what increasingly might be called Pandora’s SuperBox. The German government has unleashed extreme forces, creating many problems for which no solution is in sight. Some of the short term problems have been mentioned above. These will be followed by the long term problems, such as the cost of absorbing the refugees, the difficulty of integrating many of them in the workforce, and even more problematic, their social and cultural integration. Israel’s proven ability to integrate immigrants is stellar compared to that of Germany. In the process, Merkel’s popularity has greatly declined. Eighty one percent of Germans believe she has lost her way in handling the refugee issue. Merkel has tried to fight the mood of the country with delusional words, speaking of her expectations that refugees will go back to their country once there is peace there. She has also spoken out strongly against anti-Semitism, stating that there will be no compromises in the battle against its manifestation. What that means in practice remains to be seen. In the meantime, the refugees keep coming in. The German government announced that 91,000 refugees arrived in January alone. For the Israeli observer, many negative associations arise as the situation in Germany deteriorates. Here we have a country where price tag attacks against minorities are frequent, even though no ideology promoting the murder of Germans is in play. As events unfold, the services Israel can offer Germany will become increasingly useful, whether in improving security or in treating medical and psychological traumas resulting from violence and fear. In addition, Israel’s proven ability to integrate immigrants is stellar compared to that of Germany. Whether Germany wishes to make use of Israel’s specialized skills remains to be seen. The Pandora’s SuperBox of Germany today, as in the original Greek myth, has produced unresolvable problems. Broadly speaking, however, perhaps Israeli assistance may increasingly help to alleviate them.